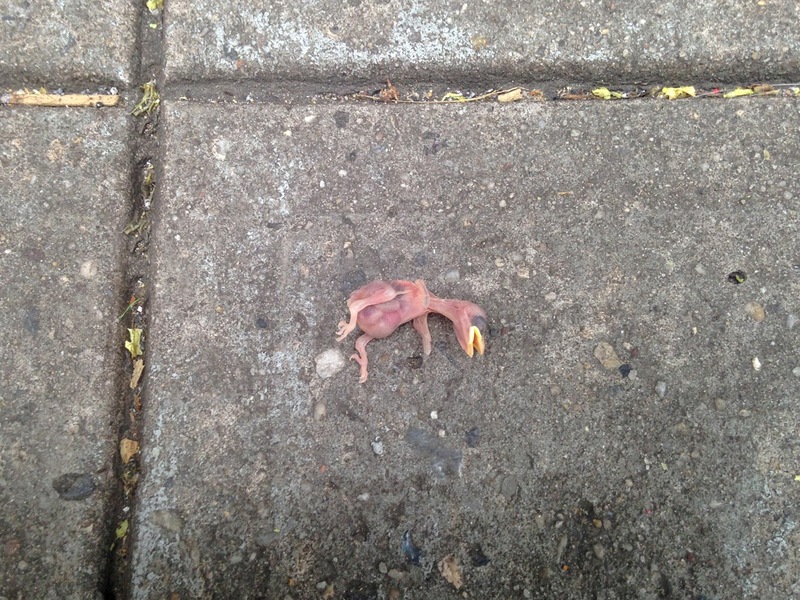 Unfortunately, not everything that happens in the East Village is happy happy joy joy. This beautiful young soul will never sore high up in the clouds bringing the caring people joy and happiness of watching his magnificence. He never got the chance to live his life. Instead he suffered a horrible death. East Villagers truly are emotional people! 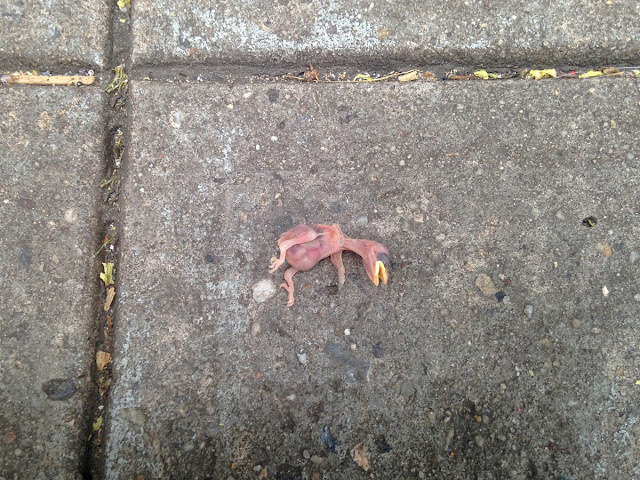 Unfortunately, my words were not heeded, and now another senseless hawk death has occurred. What's next, wolverines?! If wolverines move into the park, are East Villagers just going to say "They're so helpful — they eat the rats!" Rats respond to one thing only: poison. 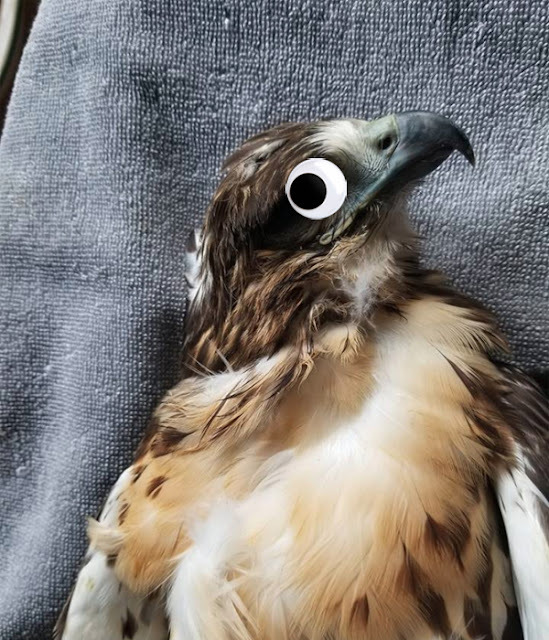 If we're going to get rid of the rats, we have to move the hawks, for their own safety. This has been a public service announcement by East Village Today. A lot of awesome things happened in the East Village these past couple of months — there's nothing new about that! 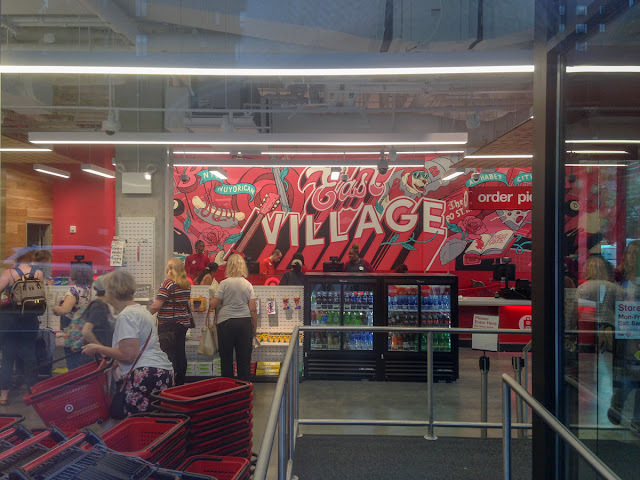 One of the most exciting is that the local Target finally opened at the corner of Avenue A and East 14th Street! 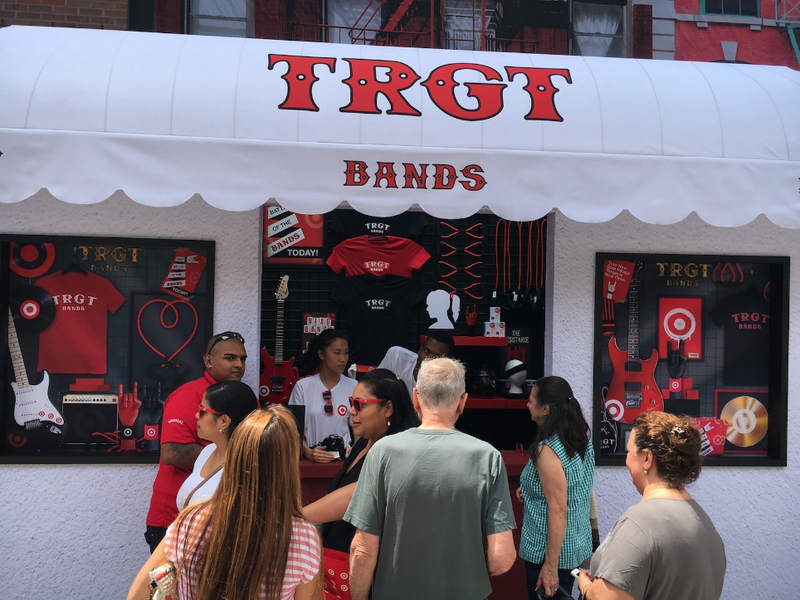 Target ad outside the East Village. TRGT – (screen shot from another web site). Unfortunately, this angered many older East Villagers, who were quick to point out that Asian women and Black men did not go to CBGB, at least not in its heyday, when they went. Most East Villagers were not affect by this historical revisionism, and love the great prices to be found at Target! Whoa, Nelly — I've been away for a while! Not away, exactly, just not posting. I have been taking pictures though, and even uploading them to this site, for future use. 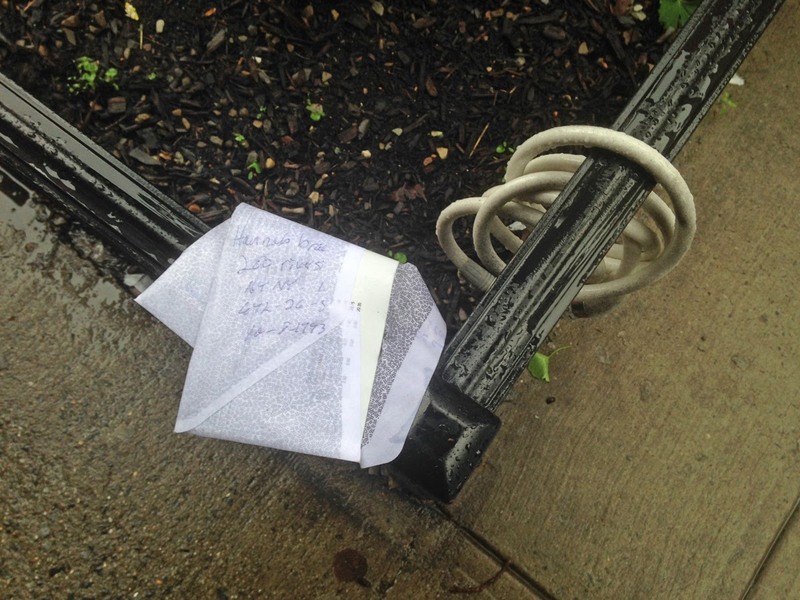 It's a secret message, written on an envelope, and left in an unassuming place: beside a bicycle lock on a tree-guard railing on East 7th Street. That's a pretty clever way of delivering a message!